We’ve all been there. Eyes focused on the millions of osrs gp you can make at the duel arena, but with your random stats, its close to impossible to find a fair fight. Don’t give up on your staking dreams just yet, as RSGoldMine have the solution – an affordable Max Main Rental Service! You heard that right – for a few million OSRS Gold, you can skip the boring grind and jump straight into the staking action and rent max main accounts! Don’t fall for these other websites, with prices that are too good to be true, and stick with us – the professionals. Along with gold selling and swapping, we’ve been in the Max Main rental business since 2015, renting to thousands of avid Runescape players. Over all these years, we’ve maintained our reputation as the most reliable max main rental website. In fact, we’ve got over 10,000 (and counting) positive feedback reports from our customers, and we’re not only the most trusted max main rental service, but the most trusted Runescape service website, according to Trustpilot. Our 24/7 English speaking team have been trained to make your rental experience as quick and safe as possible! We’re so good at it, that out of our 3 years of osrs maxed main rental service, we’ve never had any issues with customers! No wonder why we’re regarded as the best safe osrs max main rental service. It’s easy to see why we’re the go-to website for Max Main rentals, as dozens of top tier osrs stakers have staked billions of OSRS GP staking on our accounts. 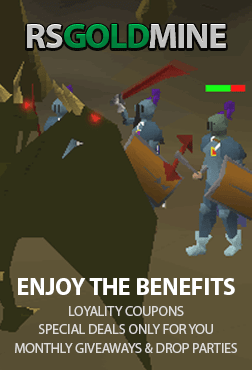 Join the thousands of other players and make the right decision and rent osrs maxed main Runescape accounts from RSGoldMine. We can’t wait for your business, and good luck at the Duel Arena! No RWT first transfer the gold to your own account then trade over the gold to the main. You may only transfer up to 500M to the account. No streaming or commission staking is allowed on the account, not even 0%. You are not allowed to change the account display name. You are to remain within world 302 Duel Arena at all times while using the account. You won't leave the live chat or go offline on skype while renting. Don't mess with friends/ignore list. Also keep private status on friends. No refunds will be givin once you receive the login details. No refunds, you are paying for a set amount of time whether you choose to utilize the full time period or not is up to you. In the unlikely event the account is disabled during your session, we are not liable to refund you any lost gold or any lost time. If you do not collect your deposit within 30 minutes you will forfeit your deposit.